In the last five years, products from Trao Group have been the subject of great affection and support from the Vietnamese market. 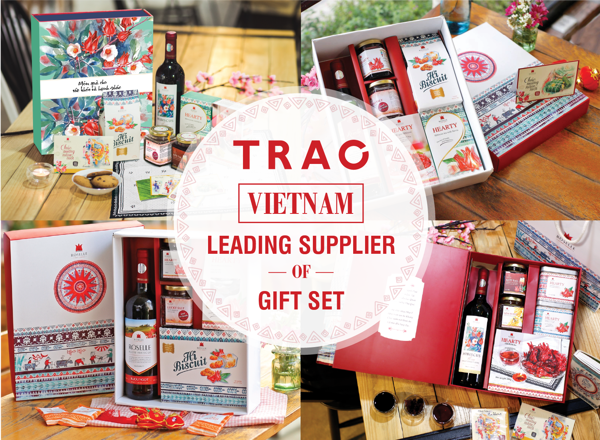 In line with Trao Group’s tree of happiness philosophy, the Trao Group team strives to deliver lasting happiness through each of our products, and we are proud to be Vietnam’s leading Tet gift box supplier. This five-year journey has seen the delivery of over one hundred thousand premium quality Trao Group Tet gift boxes, each with its own unique Tet aesthetic. Every year, tens of thousands of Trao Group Tet gift boxes, which carry not only premium quality Trao Group products, but also our customer’s respect and admiration for the gift box recipients, enter homes and bring happiness to families all across Vietnam. Each country has its own unique culture that makes up its national character. This national character is embodied in the people and their rituals. For Vietnamese people, the Tet holiday is a ritual valued like no other. The Tet holiday is celebrated in an air of humble respect, full of love and compassion for others and nature. Trao Group is honored to contribute to this proud culture, and to share Vietnam’s traditional values with people across the globe. Trao Group’s premium quality products are derived from the Hibiscus plant, and designed to be the perfect gift for Tet. Trao Group Tet gift boxes are crafted with durable, modern materials, yet pay great respect to the Vietnamese tradition they honor. The red color of the Hibiscus sepal highlights the Tet aesthetic also. It represents the firecrackers, the lucky envelopes, and the lucky charms seen during Tet. The Hibiscus wine and tea are unique, intriguing drinks used to welcome guests during Tet, in place of the bottle of Western spirit or the pot of Chinese tea. The crunchy, sour taste of the dried Hibiscus sepals are the perfect compliment to the Vietnamese Tet aesthetic in place of expensive, sugary, imported candies. Trao Group believes, and we think you will agree, it is more fitting to celebrate a traditional Vietnamese Tet holiday using Vietnamese products. The Hibiscus plant itself harbors a great symbolic importance for Tet celebrations also, for it is a pragmatic icon of happiness that carries many physical health benefits. By choosing a Trao Group Tet gift box to honor your colleagues, friends, and relatives this Tet, you are spreading genuine happiness and sending a promise of health, joy, and prosperity for the New Year. Every family member is sure to enjoy the Trao Group Tet gift box. 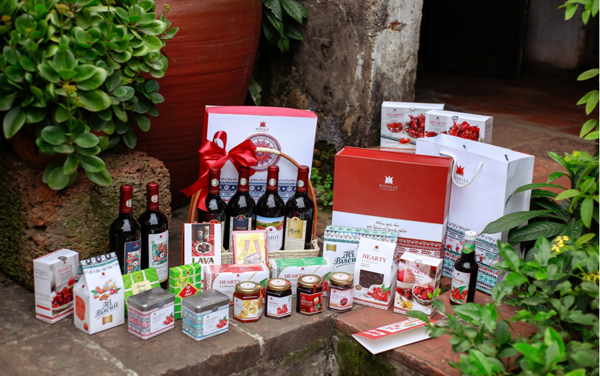 Upon gathering, the whole family can raise their glasses to toast with the Hibiscus wine and tea, before entertaining themselves with the other Hibiscus products and complimentary Tet accessories in the box. 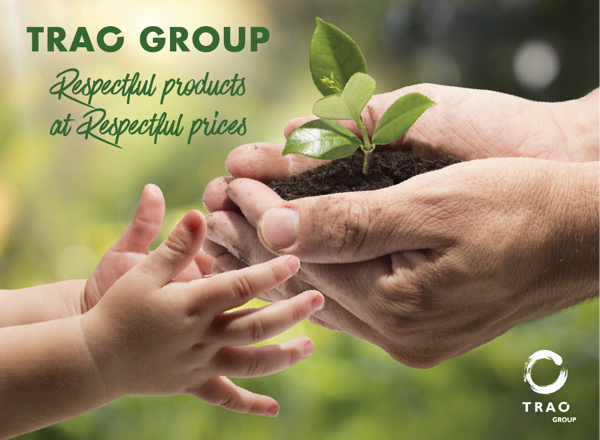 All Trao Group products are 100% natural, and suitable for all ages. The Trao Group Tet gift box range is delivered at a respectful price point too. Products are designed to be affordable for everyone. Even with a limited budget, you can purchase a suitable gift for a loved one. And each Trao Group Tet gift box guarantees to deliver the premium quality products Trao Group customers expect. Trao Group products are well known for their interesting, highly ornamental package design. With a Trao Group Tet gift box, you are sure give a meaningful gift that represents an image of absolute happiness this Tet holiday. Unlike other Tet gift sets on the market, Trao Group Tet gift boxes also provide a range of complimentary accessories inside. They are beautifully designed to match the aesthetic of the Tet season, and each item holds a unique cultural significance. The accessories include playing cards, lucky envelopes, greeting cards, a calendar, and many other surprises! 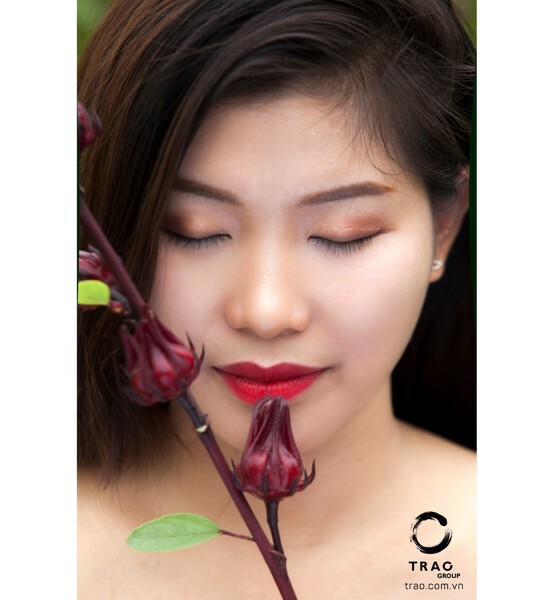 Trao Group’s vision is to provide happiness to all by supplying our customers with unique and innovative gifts that respect our Vietnamese heritage. Trao Group has created a happy working environment for each of our team members so that our passion can spread to our customers organically. Trao Group customers are welcomed with our authentic, heartfelt gratitude upon arrival. Trao Group, staff will assist you in the most professional manner, in accordance with international standards. Vietnam’s leading businesses know Trao Group products well. These companies have come to trust the outstanding quality Trao Group is known for across Vietnam. As well as many other cafe and restaurant chains throughout the country. Our customers not only buy into the happiness our gift boxes bring, they also share with Trao Group in contributing to spreading a better life for the benefit of all. Healthy products derived from a natural herb suitable for all ages. Products proudly made in Vietnam. Products sold at respectful prices. Unique accessories that fit the Tet aesthetic and bring happiness. This is the Trao Group promise to you.